1 Million for Work Flexibility has more than 90 organizations on board to date as part of our coalition—and counting. We’re pleased to share more information about our supporter LiveOps in this Q&A. If someone asked you to describe a call center, you’d likely talk about a huge, open office full of dozens or even hundreds of people, answering or placing call after call to help the customers of a particular company. But that image isn’t accurate for all customer service companies. If you were talking about LiveOps, for example, you would need to describe an independent agent, working at home, answering calls as efficiently and effectively as possible to maximize his own success and provide the best possible customer service experience. Headquartered in Scottsdale, Arizona, LiveOps was founded in 2000 with the goal of using the Internet to route work to virtual or work-from-home sales and customer service agents anywhere, anytime. By doing so, the company hoped to help its clients easily scale up and scale down their customer service offerings based on seasonal or other demands—something that was hard to do with a traditional, brick-and-mortar call center. The idea quickly took off, and LiveOps started offering customer care services for the financial services and insurance, healthcare and human services, and retail industries. Clients loved the flexibility LiveOps’ agent-model offered, but they also started asking to buy the company’s cloud-platform software to use with their own, in-house customer service operations. So LiveOps began managing its agent services and cloud platform groups as individual business units. The result was growth in both areas, to the extent that Marlin Equity Partners announced late last year that it would acquire the LiveOps Cloud Platform business. That sale was part of a natural evolution for LiveOps, allowing both of the company’s business units to focus on their distinct objectives. That strategy again appears to be working. LiveOps Agent Services now has access to a huge pool of independent, work-at-home agents who handle more than 100 million interactions each year, for more than 400 clients. LiveOps lives and breathes flexibility—for its clients and for its agents. The latter is shown by its place at the top of the 2016 FlexJobs rankings of the Top 100 Companies with Remote Jobs. In this Q&A, Greg Hanover, senior vice president and general manager of LiveOps Agent Services, talks about the impact flexibility has had on the company and its clients, and what the future may hold for this rapidly growing business. 1MFWF: LiveOps is a pioneer in the work-at-home contact center industry. How has the company’s use of a flexible workforce changed over its 15-plus years? How has technology affected those changes? LiveOps: Throughout our 15-plus years in the call center industry, LiveOps has maintained a work-at-home, agent-based model. In our early years, or what I call life before cloud, we leveraged traditional call center technologies to enable independent agents to work from home. In 2003, we deployed the new cloud technology, and the business took off. We experienced significant growth. As technologies improved and evolved, so did we. We have always been an early adopter of technology allowing us to put the right technologies behind our innovative approach to call center services. 1MFWF: What kinds of flexible work policies does LiveOps have in place to manage such an extensive and far-flung workforce? What unique challenges and opportunities come along with having an almost entirely remote employee base? 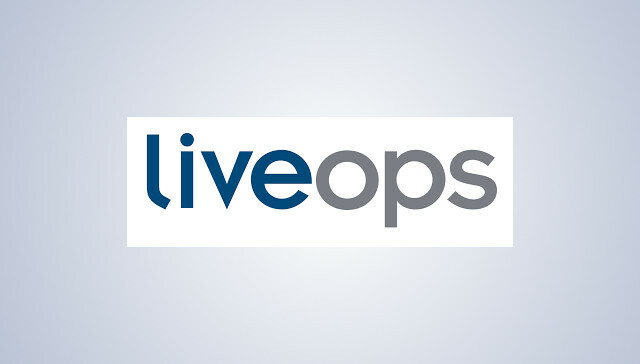 LiveOps: LiveOps utilizes a distributed independent-agent workforce for its client solutions. That means we have independent contractor agents who provide services to our clients from their homes throughout the United States. With this model we have established and evolved proven processes for recruiting, onboarding, skill development, and performance management to meet the unique challenges of building and maintaining a network of remote contractors. Distance learning is one challenge most organizations struggle with in-house. However, LiveOps has developed a proven, award-winning, distant learning methodology that provides agents with multiple learning opportunities through several delivery methods to meet a variety of learning styles. At the core sits a learning ecosystem that manages delivery, tracking, and completion of learning content through an online portal. This way we can ensure that independent agents consistently complete the same proven onboarding process regardless of geographic distance and time constraints. Additionally, regulating performance could also be a perceived challenge. At LiveOps, we created a self-governing meritocracy model where calls are automatically routed to the highest-ranked agent available at any given time. The agents can view how their call performance stacks against the other independent agents, so they can identify areas of improvement to increase their call volume and grow their business. LiveOps also manages a distributed corporate team with three offices throughout the United States and a number of remote employees. Our experience with the work-from-home agent model has allowed us to implement best practices for recruiting, training, and managing our corporate employees as well. In both models our focus is on attracting and retaining the best talent. This means identifying individuals with the self-discipline and drive to work from home and leveraging technology to create a unified workforce. 1MFWF: Many big-name companies are LiveOps customers. What have you learned about different corporate cultures from your customers? What do you think your customers have learned through their association with LiveOps and its culture? LiveOps: As a pioneer in crowd-sourcing, the idea of a distributed workforce backed by solid and mature processes is considered the way of our past and our continued future. We see a full gamut of clients, some who are very conservative and traditional in their thinking about call centers, and others who are very progressive and understand the power of our model. What we have learned is that regardless of a client’s current corporate culture, there are ways to integrate a remote workforce. After all, we have been in this business since 2000, and it is what we do, day in and day out. Once prospects and clients hear how we do it, the lights go on, and even the most traditional thinkers begin thinking differently about how they have managed the function of call center. Over the years, we have seen the adoption rate improve and the resistance to change diminish. Clients are experiencing first-hand how you can drive quality and cost effectiveness in a virtual or distributed model without sacrificing your brand identity or corporate culture. 1MFWF: How have LiveOps’ recent changes, like the Marlin Equity Partners investment, positioned it for the years to come? What, in general terms, are the company’s plans for the future? And how will the company’s commitment to flexibility help it achieve those goals? LiveOps: The Marlin Equity Partners acquisition of the LiveOps Cloud Platform Business has allowed our LiveOps Agent Services business to better focus on its core business—helping its clients with an innovative variable talent community for live agent support. It has allowed the Agent Services business to free up resources and reinvest in its future for its clients. As a premier business process outsourcing company, this focus will allow us to accelerate growth and organically expand our services and solutions portfolio. When will you employ people from WISCONSIN?? Patiently waiting.!! Thank you for your interest and your patience. Unfortunately, as you know we do not have opportunities for work-from-home agents in Wisconsin at this time. Do you employ people from Jamaica, W.I.? Thanks for your interest Paulette. As per their website (http://join.liveops.com/legitimate-work-from-home-faqs), LiveOps “only employs contracts with individuals or businesses located in the United States at this time.” All best! Do you employ from Kentucky?